Canon will be presenting a range of new digital radiography (DR) and healthcare IT products at next week's ECR 2017 in Vienna. The company will be highlighting three new flat-panel detectors: CXDI-410C Wireless, CXDI-710C Wireless, and CXDI-810C Wireless. Although they are not yet available in Europe, the detectors employ a new carbon fiber housing that reduces weight, increases durability, and improves water resistance, according to the vendor. In addition, the detectors include a "ready push-button" for manual image selections and a built-in memory that can store up to 99 images, Canon said. Canon will also be emphasizing DelftDI Trauma DR Plus, a DR room suitable for use in trauma and emergency care. Trauma DR Plus features a large display, RIS-integrated workflow, and manual positioning with motorized support for Z-movement, the company said. In addition, Canon will showcase its DelftDI Mobile DR battery-powered digital radiography system and its DelftDI Zillion PACS software. 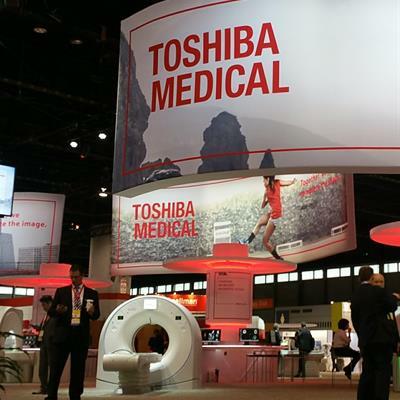 Canon has completed its acquisition of Toshiba Medical Systems after the deal cleared regulatory approvals in all the countries where the companies operate. Canon Lifecare Solutions has signed an agreement with Materialise to distribute medical 3D-printing software in Japan.